I love to bake and look forward to making my girls’s birthday cakes every year. 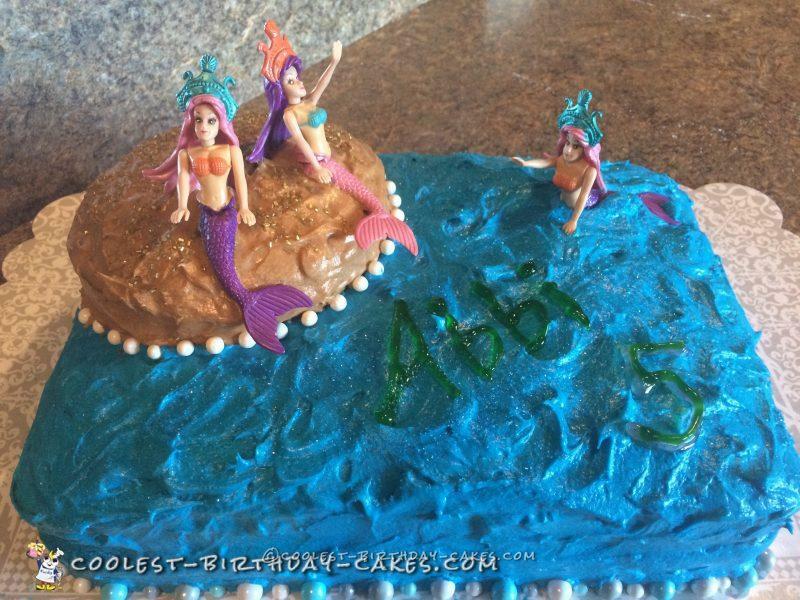 This year Abbi requested a mermaid theme party. I should’ve taken a picture of the inside, but one layer was a blue velvet, the other pink velvet and the “rock” was funfetti. 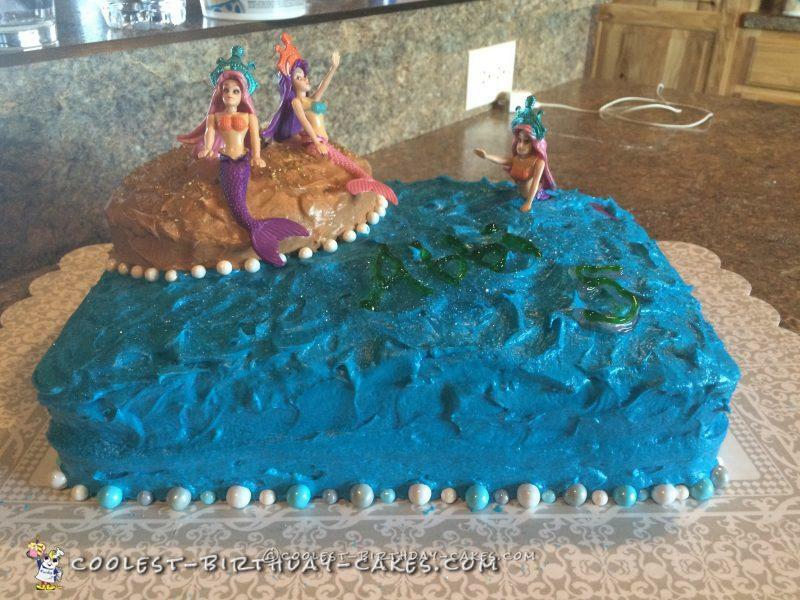 I made buttercream icing and used gel food coloring to color the water blue and the rock tan. I iced the ocean part using swirl marks to look like waves and the rock a little rough around the edges to try and resemble a rock. I bought the mermaid dolls on Amazon. I put the pearls all the way around the cake and the rock because I felt like it was missing something and didn’t look complete without them. 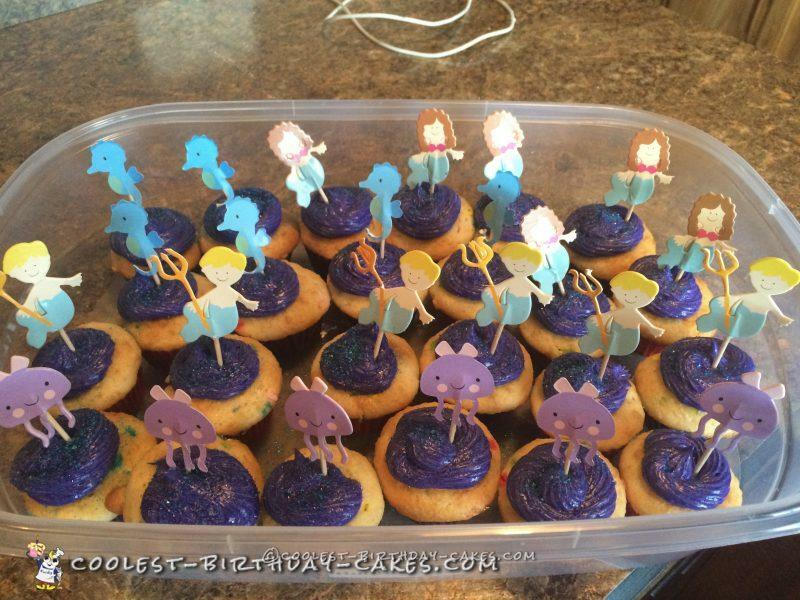 I also decided to make a few mini cupcakes and top them with ocean themed cupcake toppers. All the kids and I think adults loved the cake!